Proper destruction of sensitive Business data and media is an imperative task. That’s because companies are producing more information than ever. While the number of new privacy and information disposal laws at the federal and state levels have grown exponentially. A single instance of unauthorized access to information could have significant consequences, from loss of brand or revenue to the loss of market share and more importantly customer trust. The negative PR alone is a high risk that can cause your company time, money and impact future earnings. 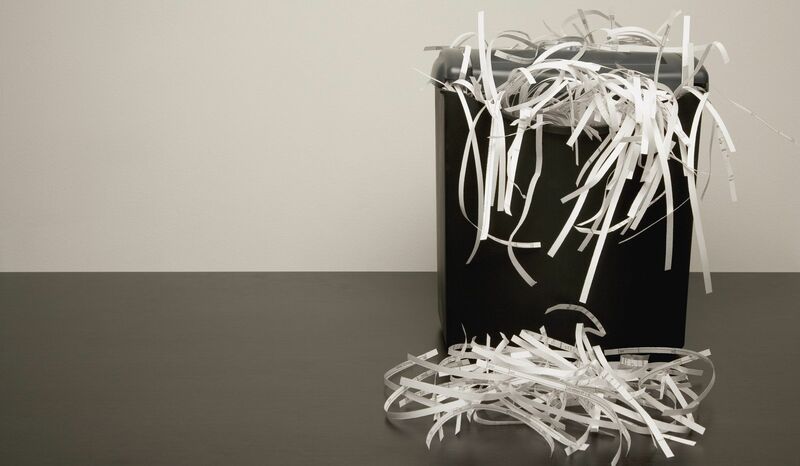 To help businesses and local residents keep their private documents and sensitive material away from the wrong hands, we offer a wide range of document and media destruction solutions: off-site and drop off secure shredding services that are both secure and affordable. Partnering with us for your secure document shredding helps you not only gain a range of benefits that prepare you to meet the challenges of information privacy. It will also allow you to comply with State and Federal Privacy laws. Security: Each type of shredding service we offer is 100% secure. our processes and procedures ensure a solid Chain-of-Custody. Our employees are screened and meet all our company and State security requirements. Our facility has limited access, ensured and secured by a third party 24/7 and AAA certified. Law Compliance: We help you comply with the law, from HIPAA to GLB, MA Privacy Laws, and SOX. Upon job completion, you will receive a Notarized Certificate of destruction that confirms your secure document and media destruction. HIPAA fines can be very painful to small business. Don’t take a chance with your business and career. Affordable Rates: Our low overhead cost allows us to offer shredding services at very competitive rates, drop off shredding rates as low as 89¢ / Lbs! Our customers are often pleasantly surprised when they receive our quotes, we can save you up 75% from the other big out of state shredding service corporations. Environmental Friendly: Document recycling as a large key component of our paper shredding service. We recycle 100% of the material. Our company is proud to be a green company, everything we do has recycling and environment in mind from electronic invoices to use of 100% recycled materials and hybrid vehicles. Off-Site paper shredding technology allows us to destroy up to 5000 pounds of documents an hour, saving you time and, more importantly, saving you money. No other company can match our document destruction rate that serves Greater Boston MA. Our truck allows us to pick up at your location and shred in our secure facility. This off-site document destruction service eliminates any chain of custody issues and gives you the assurance that your documents have been destroyed properly. All our clients receive a Notarized certificate of destruction verifying the shredding of documents providing you a legal audit trail. Claiming to be the best is easy but I have to admit you are the best deal in town. I know because I spent the last three weeks looking for a reliable and secure company to destroy my old documents and Cds, your rate is by far the lowest and I admire your honesty in posting your fees online. No other site offers that and I liked the fact that you are a small local company. I went to you store and I was lost but your friendly lady walked me to the store and I was very happy that she offered to help me offload my car and I was impressed that my documents were handled securely, locked in your bins and I could not beat the price! I read your reviews and they are right on. Thank You for the help.